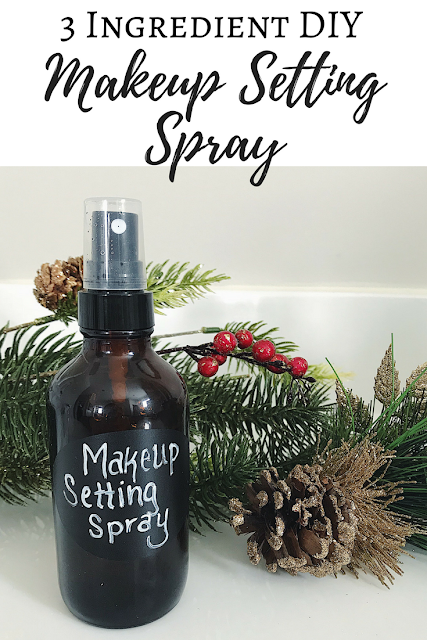 Makeup setting spray is a must in my beauty routine. I've used it as long as I can remember, and it can certainly get pricey - like this popular version. Which is why I was so excited to find out how easy (and cheap) it is to make your own at home! I'm definitely a fan of saving money, and also of not using any extra chemicals on my body, so this recipe really is a win-win. The best part is, you only need 3 ingredients and about 2 minutes to make this DIY makeup setting spray! *I used Frankincense oil, but Lavender, Tea Tree, or Cedarwood would all be great in this makeup setting spray. You can also leave the essential oils out altogether if you prefer. Add the glycerin and essential oils (if using) to the glass bottle first. Then add distilled water. Cap and gently shake to mix. TO USE: Shake before using. Spritz onto your face after makeup application to set your makeup in place for the entire day! Glycerin is necessary in this recipe because it's the "glue" that seals your makeup in place. The water adds moisture and helps dilute the glycerin. 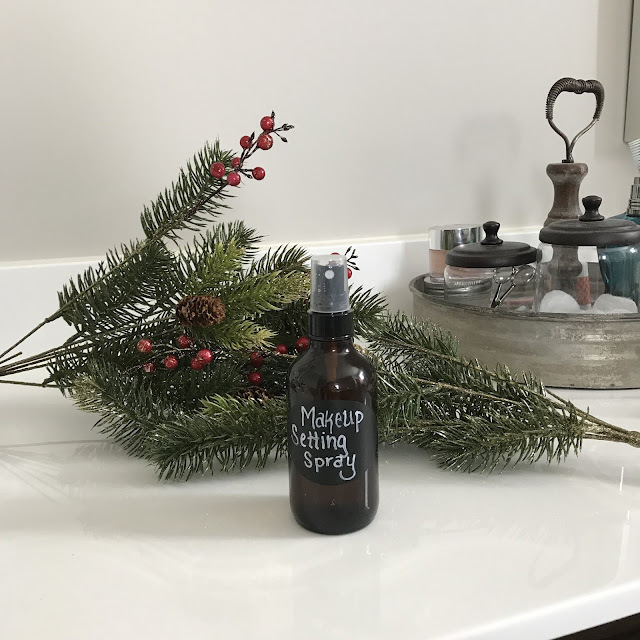 The essential oils add natural, plant-based fragrance, as well as skin calming properties (exactly which properties depend on the oils you use). 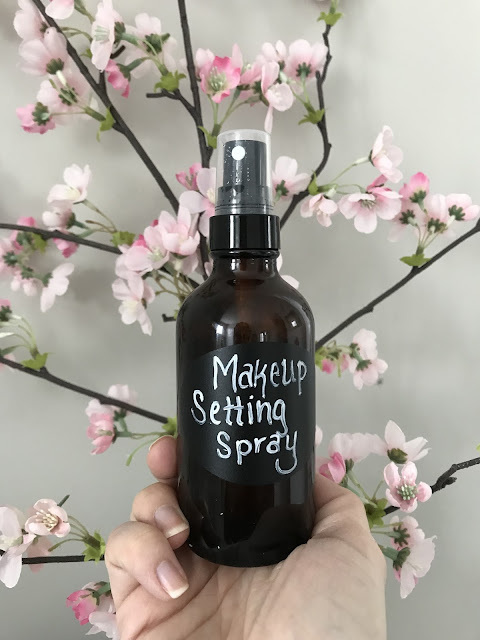 I will NEVER go back to buying my makeup setting spray. This one works SO GOOD and costs a mere fraction of the price of store bought versions! 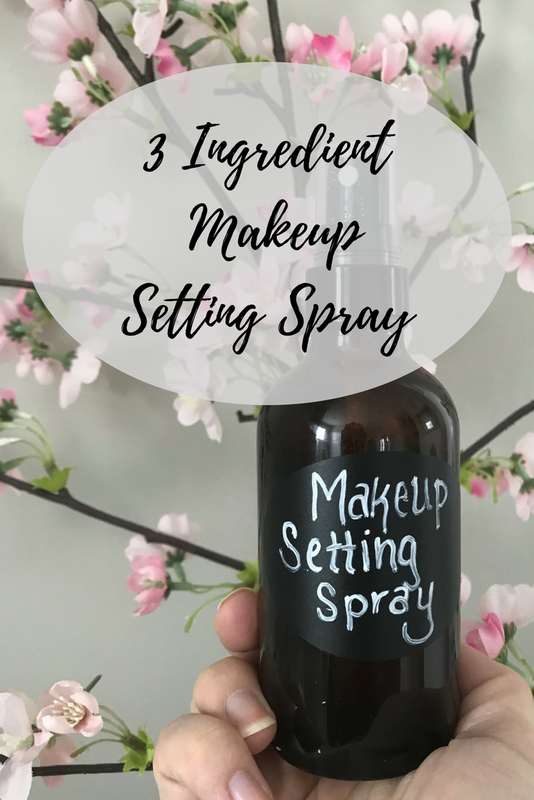 Have you tried making this DIY makeup setting spray? If so, I'd love to hear what you thought of it! Just let me and the other Nineteen Windsor readers know in the comments! 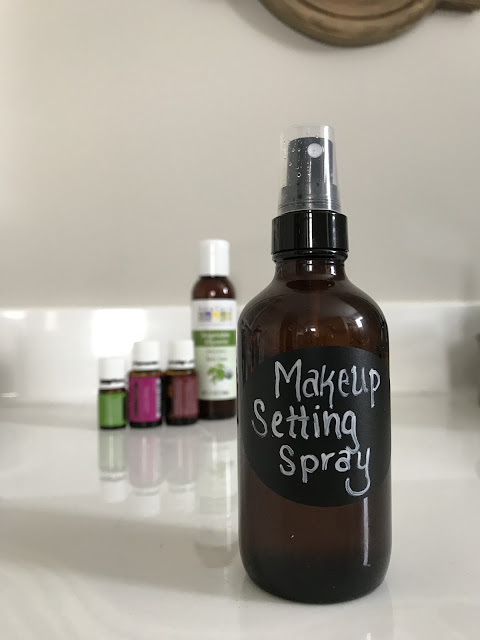 If you're interested in learning more about essential oils, you might want to follow my Essential Oils board and DIY Beauty Board on Pinterest. If you enjoyed this post, don't forget to follow Nineteen Windsor on Pinterest, Facebook, and Instagram so you never miss a post! This Week's Best Sales & A Giveaway!